If you’re planning a house or flat move and need a removals company in Swindon, then we fit the bill every time. We’ve been doing what we do for seventy years and all that time has leant us an expertise and skill that only decades of work can bestow. Where other moving companies see problems, we only see solutions. 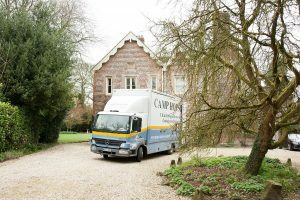 We know the area like the backs of our hands and we’ll move you with an efficiency and an unflappable competence that will change the way you see removals. Other removal companies in Swindon may come on strong with big promises, but we deliver. And to make the whole process even more relaxed and carefree, we offer a complete packing/unpacking service that really takes the weight off your shoulders. What’s more, our packers aren’t casual workers who aren’t committed to what they’re doing; they’re a highly-trained, quick-thinking team who come fully equipped to handle difficult items like bulky pianos and furniture that needs dismantling and reassembling. When moving day comes around, we’ll be with you punctually and our handlers and movers will take great care as they remove belongings from your old home. They won’t damage paintwork or bang into banisters but will get everything done with well-judged speed, not manic haste. Once they’ve unloaded the vehicles at the destination and put everything in the right place in your new house, you’ll be able to relax and enjoy your new surrounds, instead of living out of overnight bags, surrounded by boxes. From the very second that you get in touch with us, our BAR-certified (British Association of Removers) status means that you get certain standards, all of them high. One of our estimators will come to see you, taking down every last detail to make sure nothing is omitted. Then we’ll supply you with a clear and accurate quotation and you can give us the go-ahead at your leisure. If in the course of your move, you find you’ve got excess possessions, we have storage in Swindon that could save the day. Our facilities are safe and secure and we keep everything carefully inventoried. We offer storage for any duration and we can accommodate a huge variety of space requirements, right down to storing just a handful of things if that’s all you need. To find out more, contact us now. No matter which of our services you require, if you make contact today, we’ll get straight to work on delivering them.